I’m pleased to once again be a presenter at the annual Rochester Writers’ Conference. This year, my topic is “Framing Narrative in the Personal Essay.” We’ll be discussing how to use turning points in your narrative to create multidimensional stories ‘beyond the self’ in creative nonfiction. Attendees may choose from a variety of sessions taking place throughout the day. The $99 registration includes your choice of workshops and lectures, lunch, and the keynote address. All events take place in the Oakland Center on the campus of Oakland University. OU is located on the border of Rochester Hills & Auburn Hills at this address: 2200 N Squirrel Rd, Rochester, MI 48309. For more info and to register online, visit http://www.rochesterwriters.com. 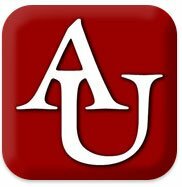 Last June2011, I first mentioned Arcadia University as they were preparing for the first ever residency for their newly created low-residency MFA in Creative Writing program. Now that a couple of residencies have passed and another cohort is happily on their way to earning grad degrees, I caught up with Joshua Isard, the Program Director of the M.F.A. in Creative Writing at Arcadia University. Josh told me how Arcadia is vamping up their online discussion boards and focusing on ways to make their student-faculty communications super-accessible, regardless of how the student logs in and no matter the device. That includes using the discussion boards for weekly workshops. Speaking of anywhere… Arcadia has a really cool residency schedule for students who enjoy travel or wish to write with a global perspective. Each cohort experiences three residencies, one of which takes place abroad. That includes Edinburgh, Scotland, and other locations like Umbria, Italy. The other residencies take place at the King of Prussia campus, just outside of Philadelphia. In addition to residencies, students take between six to nine credits each term and work toward completing a full-length manuscript. Then, with the assistance of mentoring faculty, students design a publication plan to get that completed work out into the world. Potential students should visit the program website and stop by their Facebook page to say hello. Applications for admission in August 2013 are being accepted now, and the priority deadline is March 1. Review the admission requirements before applying. For more info about the low-residency MFA in Creative Writing program at Arcadia University, visit http://www.arcadia.edu/mfa-creative-writing.htm.